HGTV, I once thought, was only for gardeners and DIYers. That was until my wife and I developed a serious guilty pleasure for House Hunters International. I’ve never believed that I have an addictive personality, but watching this likely-staged and often ridiculous show proved otherwise. And thankfully so, because it planted the seed that led us to book an impromptu trip to Panama. It didn’t take long after landing to know we were going to love this Central American country. After an intermittently irritating family trip to Morocco, easy-going Panama restored our love for travel. Normalcy returned to our traveller universe. 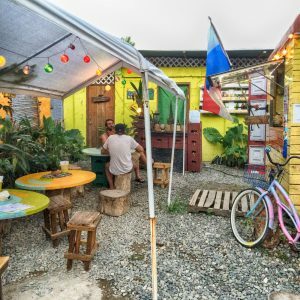 If you’re struggling to pick the perfect backpacking destination for winter, let me tender a vote for Panama. Follow along with this quick-and-easy Panama itinerary to help you plan out exactly what to do in Panama in 10 days or less. Do I need travel insurance for Panama? Sitting firmly within in the tropics, Panama is a year-round destination. Average temperatures throughout the year in Panama hover in the mid- to high-20s (about 75°F to 85°F) with the coastal regions being a tad warmer than the highlands. 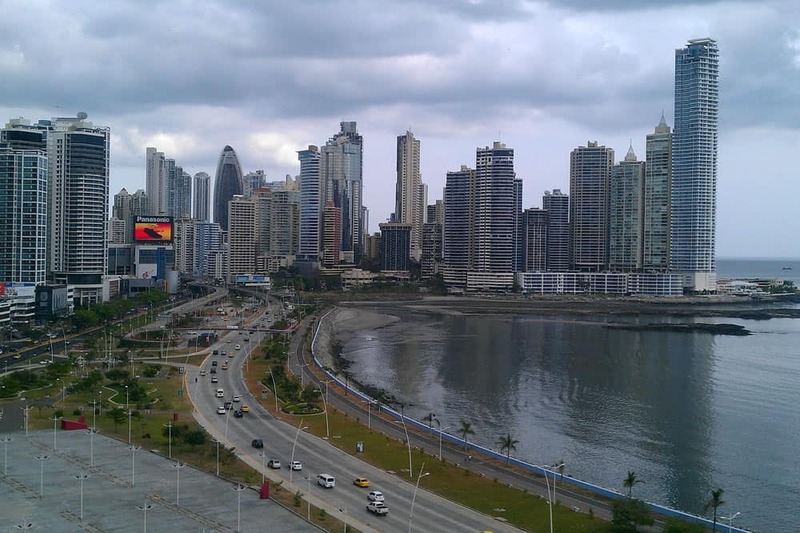 Overall, the best time to visit Panama is in during the dry season between mid-December and mid-April. It’s also, however, the busiest tourist season, so you may have to deal with lower availability of accommodations and higher prices. Not long ago in a bid to increase tourism the Panamanian government had a radical idea to prevent free travel insurance to all travellers visiting Panama. As much that idea was met with open arms, the program was unfortunately cancelled in 2014. Like any other destination, I wouldn’t dream of visiting Panama without travel insurance. For the relatively small cost, you’ll cover yourself for things like medical expenses, trip cancellation, stolen goods, and lost or damaged baggage. A few of these are particularly important in Panama. As much as I loved my time there, there’s no getting around the elephant in the room: Panama isn’t the safest destination in the world. Although I personally never felt unsafe or had any problems, other travellers aren’t always so lucky. Street crime is a problem in parts of the country including touristy areas like Casco Viejo in Panama City. A travel insurance policy that covers theft is absolutely key if you’re planning to carry around any valuables whether it’s cash for your trip or a camera. Another concern is medical coverage. Panama’s health care system, while among the best in Central America, may not be up to the standards you’re used to. Equipment, consistency, and accessibility are the biggest challenges for receiving care in Panama rather than adequate medical training or costs. Needless to say, if you get a serious injury or illness requiring hospitalization while visiting Panama, you’ll want to ensure that you’re covered with a travel insurance policy that includes medical evacuation—whether that’s to a better facility in Panama City or repatriation to your home country. Find a travel insurance policy that’s right for your trip and get a quote by clicking here. Like most places in the world, staying connected while in Panama is becoming easier and easier with time. In popular tourist areas like Panama City and Boquete, many restaurants, cafés, and hotels offer free WiFi to their customers and guests. Elsewhere in Panama, it can be more of a challenge to find a reliable Internet connection. Fed up with unreliable free WiFi? An even better option is to rent a Panama Global WiFi Hotspot for your trip. Using your own device, the hotspot allows you to easily connect to the Internet wherever you’re travelling in Panama including Panama City, Boquete, and Isla Colon in Bocas del Toro. Whenever you’re connecting to the Internet—whether with your own device or through public WiFi—your data could be vulnerable, especially when you’re travelling. One of the best ways to mitigate your risk is to connect through a reliable virtual private network (VPN). One of the best VPN providers for travellers visiting Panama is NordVPN. With NordVPN, you’ll get to choose to route your connection through one of over 4,400 servers in 62 countries worldwide. Besides protecting your data using military-grade encryption, their wide selection of servers means less lag time and opportunities to view localized content without physical restriction. Ready to surf the Internet safer in Panama (and around the world)? Save BIG (up to 75%) with the latest plan deals on NordVPN! Ready to plan out your Panama itinerary? Don’t forget the following travel essentials before you go! Guidebooks: As much I rely on technology, I rarely travel without print guidebooks. Lonely Planet Panama provides one of the more comprehensive and up-to-date travel guides for the country. Phrasebooks: There’s no doubt that knowing a little Spanish will help you get around Panama much easier. The Lonely Planet Latin American Spanish Phrasebook makes for a great travel companion! Language learning resources: Want to get a little more in depth into Latin American Spanish? The book & audio combo course Teach Yourself Complete Latin American Spanish is an AMAZING place to start. Vaccinations: In addition to being up-to-date with your routine vaccinations, the CDC recommends getting vaccinations for Hepatitis A & B and typhoid for travelling to Panama. You’ll also need a yellow fever vaccination if you’ve travelled to countries with risk of infection including Colombia. There’s more to do in Panama than glossy vacations brochures let on. As a Central American beach vacation, Panama’s picking up steam. Yet, few independent travellers move beyond the Panama City “beach bubble” into the Panamanian hinterlands to dig deeper into the country. With only 10 days in Panama, you can’t expect to see everything. But once you’re done with this, I guarantee you’ll be raring to return to explore this fascinating Central American country deeper! One way or another, when visiting Panama you’ll end up in Panama City. Not everyone falls in love with Central America’s most cosmopolitan city right away. Yes, it’s a little chaotic; in parts, not so savoury. But with a couple days here, either on your way to Panama or your way home, you’ll get to appreciate a little of what gives the city its special charm. 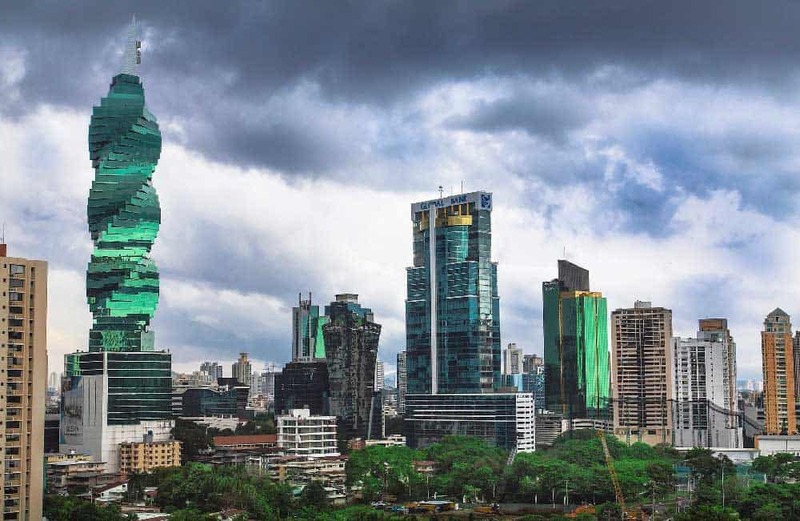 First impressions of Panama City are of a place that’s got more money racing through its veins than other Central American cities. And with the country’s most famous attraction running through the city, it’s not as if we don’t know why. The spectacular modern skyline of Panama City feels out of place in a region where tin, tiled roofs and thatched bungalows dominate. Flying in is more like hovering over Miami than a Central American capital. On the ground, is a different story. 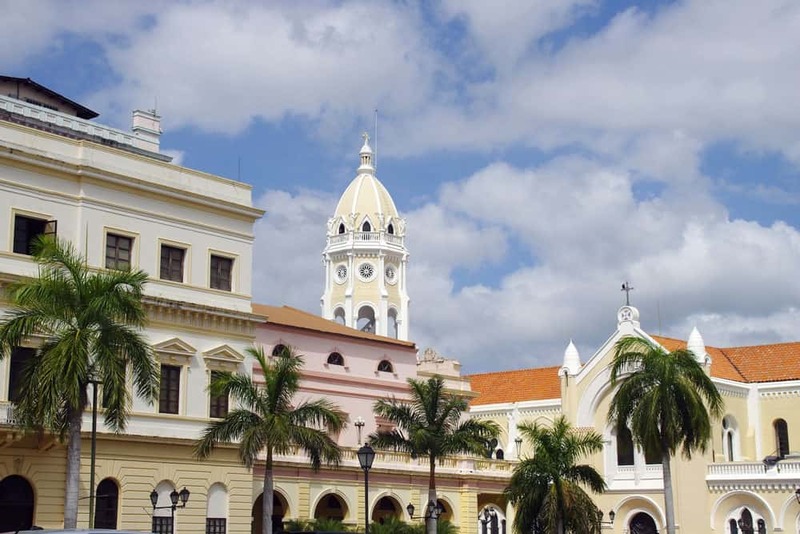 No area in Panama City charms more than Casco Viejo. This UNESCO-listed hidden corner of Panama City reminisces of Panama’s colonial period with its crumbling Spanish architecture set among narrow cobblestoned streets. Exploring Casco Viejo at its surface shouldn’t take long. But to dig a little deeper into its churches and markets, you’ll want to spend the better part of a day or two. Casco Viejo’s on the up and up lately, quietly sprouting trendy restaurants, bars and hotels in refurbished old buildings while other corners remain much as they were decades ago. Even as things are getting better, Casco Viejo borders a couple of Panama City’s most dangerous neighbourhoods. I wouldn’t risk walking around alone at night or around the darker corners of Casco Viejo. Want to make the most out of your visit to Casco Viejo? Check out these Panama City tours! Panama City Day Tour: Spend an action-packed day taking in all the sites of Panama City including the Miraflores Locks, Ancon Hill, Punta Culebra and the lovely Casco Viejo. Includes hotel pick-up/drop-off. Panama City Food Tour: Taste the best Panamanian flavours on this 2.5-hour walking food tour through Casco Viejo. Start with a cup of Panama’s exquisite Geisha coffee, some of the most expensive in the world, before moving on other delights like chocolate, craft beer, ceviche & rum. 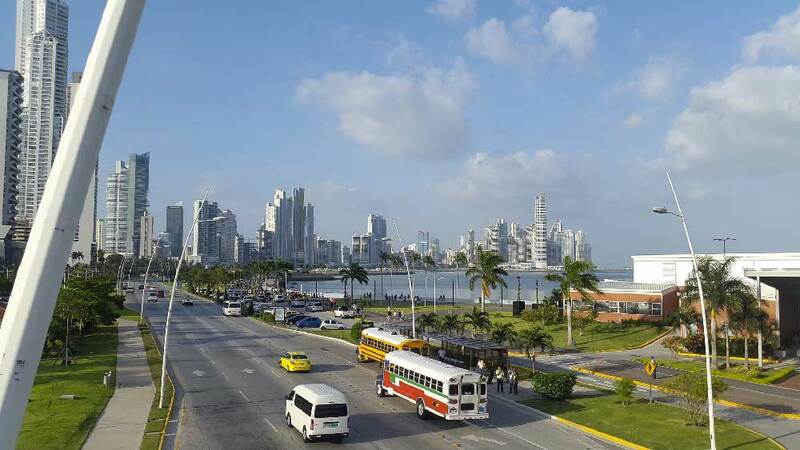 Panama City Sightseeing Tour: A full-day tour that combines a visit to the Miraflores Locks with a walking tour in Casco Viejo and several other top attractions elsewhere in the city. City & Canal Half-Day Tour: Discover two of Panama City’s most compelling attractions—Panama Canal and Casco Viejo—in just half a day! If you return home from Panama City without visiting the Panama Canal, you’ll have some explaining to do. Watching giant barges carve through this man-made wonder, as you spot wildlife lurking along the shores, is fascinating. Even more so when you can put a story to it. 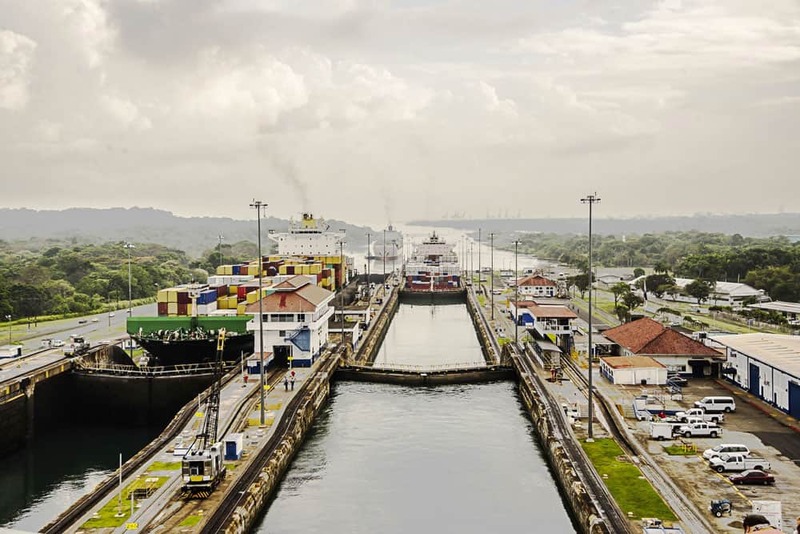 The most common place to catch the canal is at the Miraflores Locks, an engineering marvel that will leave you in awe. Time your visit during the busy morning hours to see the locks in full action. Panama City Sightseeing & Miraflores Locks Tour. A full-day small-group tour zipping you along the canal to the magnificent Miraflores Locks before ending the day exploring Casco Viejo. Monkey Island and Indian Village Tour: Combine a visit to the Panama Canal and Lake Gatun with an eco tour of the canal area’s wildlife including the famous Monkey Island, home to a troop of white-faced monkeys. The eco tour ends with a visit to an authentic Indian village where you’ll learn about its culture, history, crafts, and horticulture. Panama Canal, Colón Rainforest and San Lorenzo Fort Tour: Another amazing Panama Canal tour taking in the lesser-visited northern section near Colón. Cross the canal by boat to visit a rainforest where you’ll encounter hundreds of species of mammals, reptiles, and amphibians. Ends with sightseeing at San Lorenzo Fort and the Panama Canal’s newer extension at Agua Clara. Hyatt Place Panama City Downtown: We were lucky enough to scrape together enough award points at stay for free at this wonderful 4-star hotel. The rooms here were spectacular with some of the best skyline views I’ve ever peered upon from a hotel. Metro access (Estación Iglesia del Carmen) is close by, so digging into Panama City’s attractions is easy from here. Global Hotel Panama: One of the best luxury hotels in Panama City. The spacious and comfortable rooms feature large windows with superb sea & city views. There are direct flights to Panama from several North American cities. Copa Airlines, the Panamanian national carrier, is part of Star Alliance, and codeshares with other Star Alliance members from a number cities. From the United States, expect to pay anywhere from $350-450 return. From Canada, you can find return flights for less than C$600. Looking for cheap flights to Panama? I’d highly recommend checking out CheapOair! After spending hours searching on sites like Skyscanner and FlightNetwork, I’m consistently finding better airfares, over and over again on this lesser-known OTA. There’s nothing more relaxing after a couple days amidst the chaos Panama City than to spring up to the Chiriqui mountain retreat of Boquete. If there’s any place I visited in Panama that I could imagine myself living, it’s here. The cooler highland breezes and eternal spring climate of Boquete is a welcomed perk in a country known for its blazing heat. I’m not much of an adventure traveller. Ziplining wasn’t my first choice of activities, but tackling my fear of heights was worth the thrill of zooming high above the forest and absorbing the magnificient views at Boquete Tree Trek. Strap in for an experience that powers across 12 zip lines and 14 tree canopies through the cloud forest above Boquete. The longest ziplines at Boquete Tree Trek whiz you half a kilometre between canopies while suspended 60 metres above the ground. 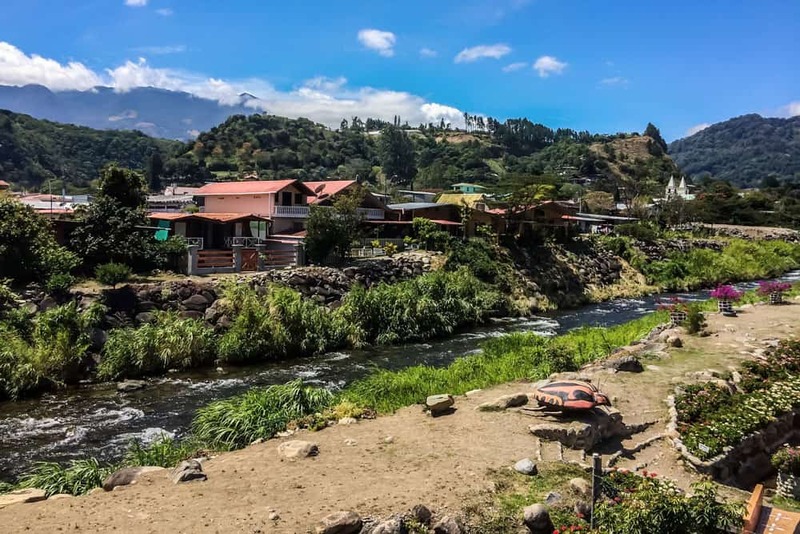 As long as you keep your eyes open long enough, sweeping vistas, flanked by Volcan Baru and peering as far away as the Pacific Ocean, frame your experience. Even if you’re not into adrenaline-surging activities, more relaxed options await at Boquete Tree Trek including walking or horseback riding. Looking for the ultimate Boquete wilderness retreat? Stay in a rustic cabin at Boquete Tree Trek to fall asleep to the sounds of birds singing and monkeys frolicking in the forest. Nothing is more famed in Boquete than coffee. 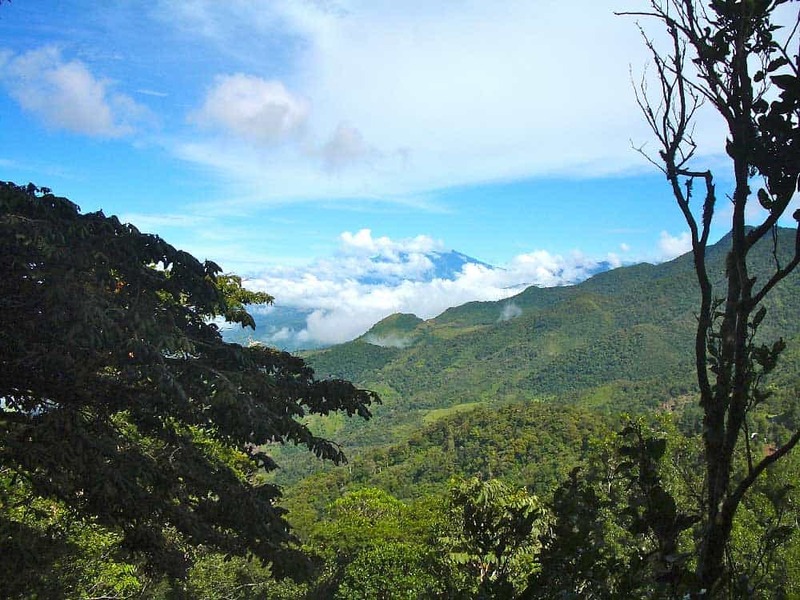 The Chiriqui Highlands around Boquete is Panama’s most famous coffee-growing region. Even if Colombian, Costa Rican and Guatemalan coffees take centre stage back home, some of the world’s best coffees come from the Boquete region. You’re spoiled for choice in coffee tours around Boquete, but I’d recommend the Finca La Milagrosa Tour. What’s interesting about Finca La Milagrosa is the lack of specialized equipment. Señor Tito built this small-scale 5-hectare farm into a thriving coffee business using whatever he could find to get the job done, mostly random car parts. There’s even a coffee roaster fashioned from an old engine! On a tour at Finca La Milagrosa, you’ll learn the coffee-making process from start to finish—through the different types of trees cultivated in Panama to the wet- and dry-processing methods and onto roasting and, of course, enjoying the perfect cup. Señor Tito and his team clearly know what they’re doing as Finca La Milagrosa produces one of the world’s most-prized Geisha coffees. If you hop onto a tour here, you can even take home a small bag of Geisha coffee ($25), some of the best coffee beans you’ll ever find for your French press or espresso machine, for a fraction of the price as you’d pay elsewhere. 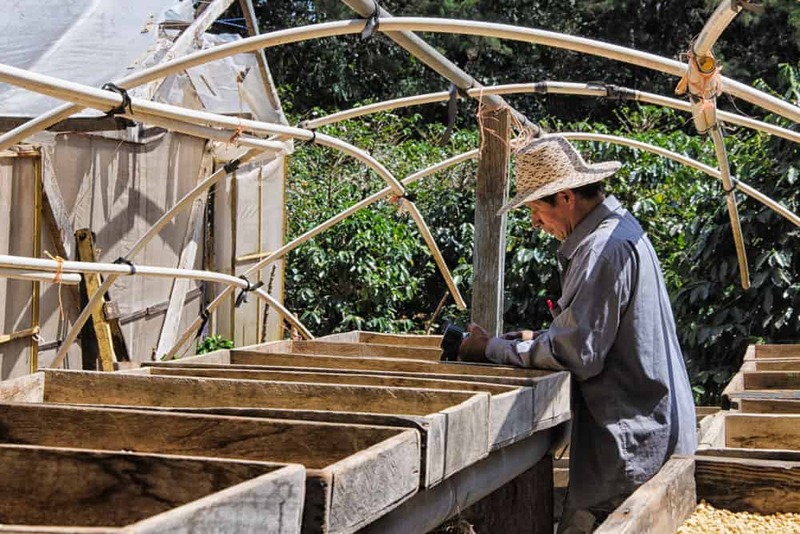 Want to dig into Boquete’s coffee culture? Get the low-down on everything Panamanian coffee on this Boquete Specialty Coffee Tour! The excursion includes a lovely hike through a plantation near Volcan Baru National Park, a demonstration of the process of coffee cultivation & roasting, and samples of some of the area’s best coffees. It’s rewarding, but not always straight-forward, to hike the trails around Boquete. Panamanian hiking trails aren’t known for being well signposted, and attempting the longer trails independently isn’t recommended. Until you are familiar with the terrain, you should always hike with a reputable guide who will know all the ins and outs. The hiking trails around the Boquete area range from relatively flat to steep. One of the easier trails, perfect for average hikers and family travellers, is the White Rock Trail (Peña Blanca), located in Bajo Mono just north of town. The trail brushes alongside colourful birds chirping high in the trees, sloths lazing in the trees and howler monkeys swinging between branches. Plow through to the end of the trail to check out the trail’s namesake and the small waterfall beneath it. 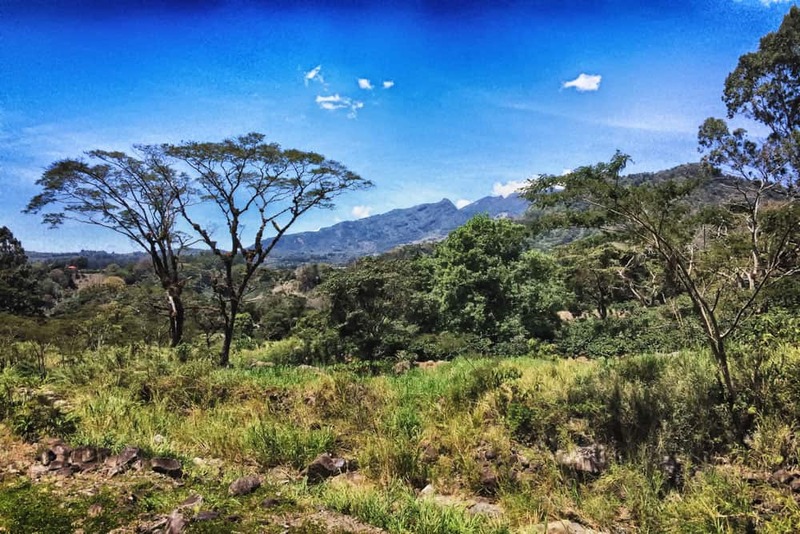 Other hikes around Boquete include La Artilleria (The Fortress Hike) in Alto Jaramillo, Sendero El Pianista (The Piano Player) near Palo Alto, and the most famous, Sendero de los Quetzales, connecting Boquete with Guadalupe near Cerro Punta. True adventurers, however, should set their compasses to Volcan Baru. This 13.5-kilometre hike up to the summit of Panama’s higher point isn’t easy. Many hikers complete the trek over two days, camping near the peak and waking up to scale up to the top just in time to soak in a magnificent dawn. Alternatively, there are rear-jolting 4×4 tours up Volcan Baru that will leave your hind quarters in agony, but your lungs less winded and your legs less wobbly. Want to experience an amazing hike with some new friends? 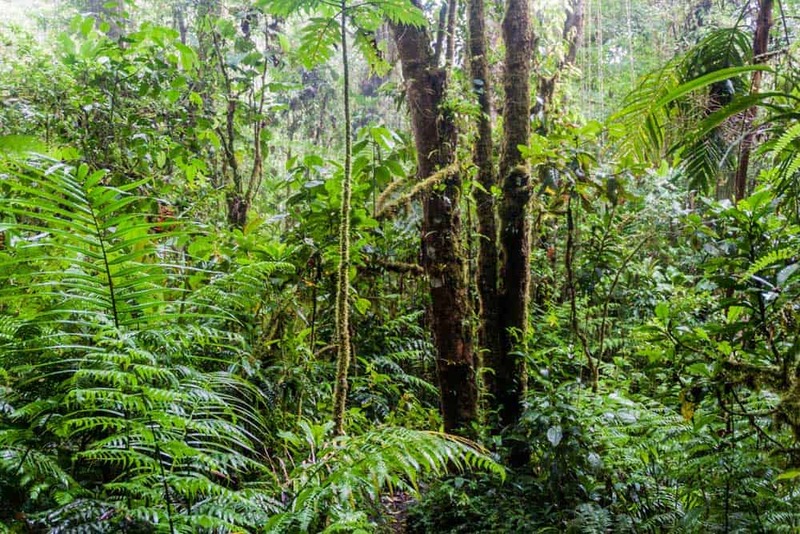 Join in on the half-day guided Cloud Forest Wildlife Hike in Volcan Baru Natonal Park where you’ll get face-to-face with wildlife like the sloths and monkeys as well as hundreds of species of bird including (if you’re lucky!) the Resplendent Quetzal. It may be a small town, but choosing where to stay in Boquete can be a challenge with how spread out everything is. You’ve got several choices of neighbourhoods from the buzz of central Boquete to the fresh mountain air and serenity of Palo Alto and Alto Jaramillo. Need the perfect place to stay in Boquete? I can’t say enough good things about the The Inn at Palo Alto. This wasn’t just my favourite place to stay in Panama, but one of my favourite places I’ve stayed anywhere! Although it’s a a few kilometres from the centre of town, I’d give a big thumbs up for staying in the Palo Alto district of Boquete, particularly at the stunning Inn at Palo Alto. 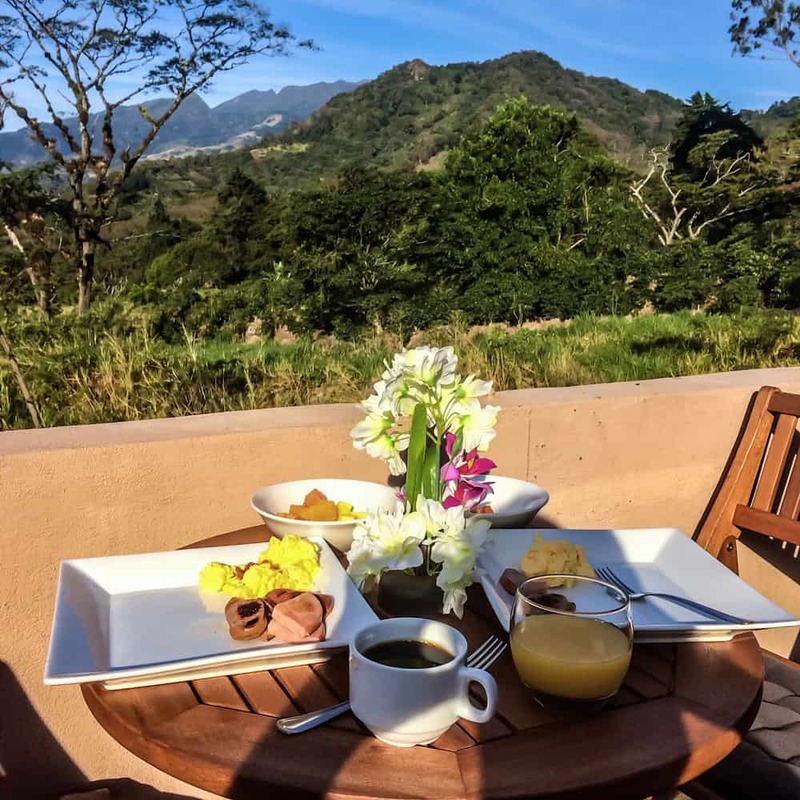 The Inn at Palo Alto is hardly central, sitting a couple kilometres above Boquete in the hills, far removed from many of the other hotels in Boquete. Truthfully, that was the best part about staying here. Even if the stunning jungle and volcano views over the outdoor seating area don’t win you over, the staff will. Boquete Garden Inn: Another lovely hotel in the quiet serenity of Palo Alto. The lush gardens on site provide the ultimate relaxing escape. Hotel Finca Lerida Coffee Plantation and Boutique Hotel: A unique 4-star boutique hotel set in a coffee plantation. Rooms offer fantastic cloud forest, mountain and volcano views. Casa de Montaña Bed & Breakfast: A modern 5-star B&B featuring large full-equipped studios. Rooms include either a small patio or terrace overlooking the forest and surrounding mountains. Other than expensive private shuttles, there’s no direct route from Panama City to Boquete. To get there, you’ll have to find your way to David first. Buses to David from Panama City (Albrook Mall terminal) leave regularly, taking about 7 hours and costing $15.30 per person. The buses in Panama are comfortable enough, but the stops along the way, for both passengers and construction, make the bus ride seem endless. Once the highway upgrades are complete, the route between Panama City and David should prove much quicker. From the bus station in David, you’ll need to hop onto a hot, jam-packed and funky “chicken bus,” an experience in itself, to reach Boquete. Don’t want to waste the better part of the day on a bus from Panama City? Book a flight from Panama City to David! Domestic flights leave from the Albrook Airport (PAC), not far from the city centre by public transportation or taxi. The 35-minute flight to David should run about $100-125. Check with your hotel in Boquete for an airport shuttle. Other than Panama City, Bocas del Toro is the most recognizable of all Panamanian tourist destinations. Bocas del Toro Province dominates the northwestern mainland and spills into the Caribbean Sea. These islands, rather than the dense nearly impassible jungles of the mainland, are what travellers dream of when they think about Bocas del Toro. 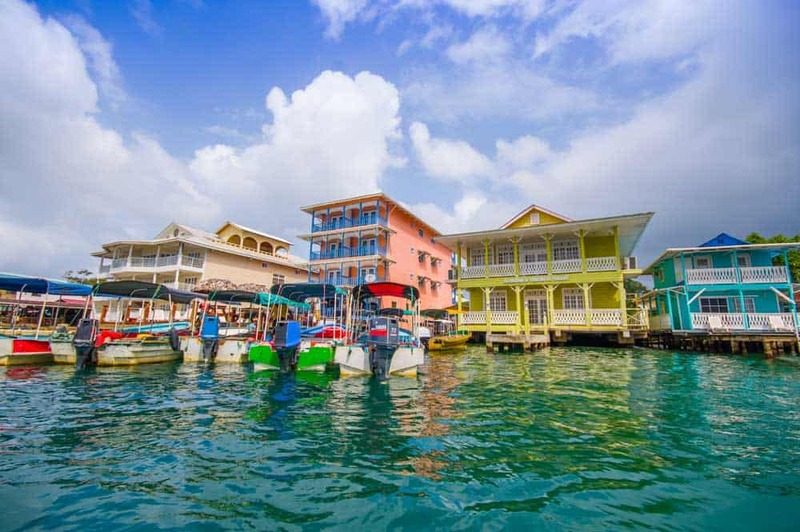 First off: Bocas isn’t some secluded 5-star Caribbean paradise. You can’t come here expecting the same level of comfort as you’d find in Mexico, Dominican Republic or Jamaica. But warming up to the palm-fringed beaches, dense jungles and clear waters isn’t such a stretch either. What you’ll find instead in Bocas del Toro is a place where you’re not confined to the walls of your resort. You’ll have the freedom to explore the town and the islands on your own terms. Most of the things to do in Bocas del Toro spring from the sea. If you’re staying in Bocas Town though, you’ll have to travel a little if you want to find the best beaches that Bocas del Toro has to offer. That’s not much of problem in Bocas. Your hotel or guesthouse can easily arrange rides around Isla Colon or a boat captain to zip you around the islands. From Bocas Town it’s a 30- to 40-minute drive through the bumpy interior of Isla Colon to get to Boca del Drago at the northwestern corner of the island. Add on a 15-minute walk along the beach or at the edge of the jungle and you’ll uncover Playa Estrella, one of Isla Colon’s most beautiful and most popular beaches. 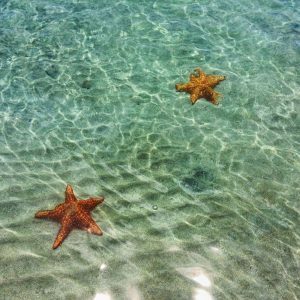 As you’d guess from its name, the beach is famous for the starfish that snooze upon the white sands in the shallow waters. The starfish move throughout the day, dodging tourists as the beaches fill up. To see more of them (and to avoid the denser crowds near the cabana bar), walk a few minutes down the beach for a little extra serenity. Want to dig into the seaside pleasures of Bocas del Toro? Check out one of these tours! 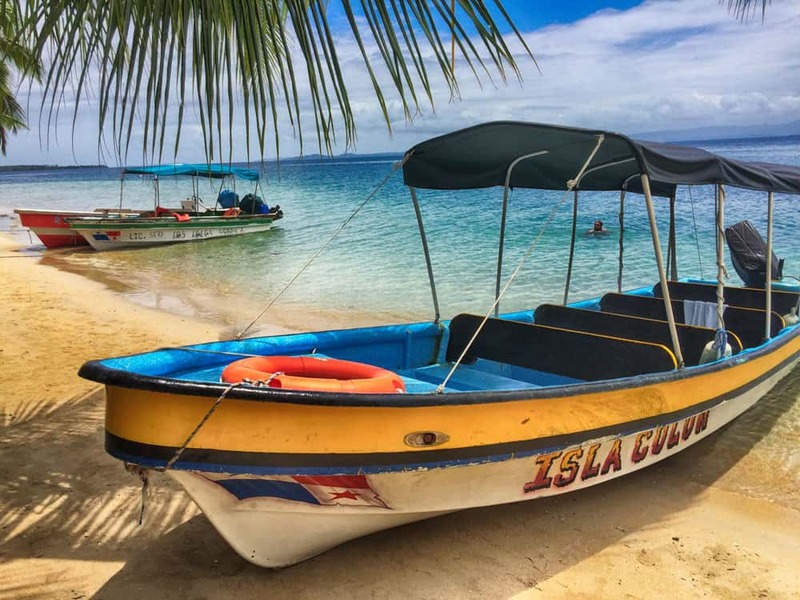 Bocas del Toro Speed Boat Tour: A full-day boat tour taking in some of the best islands & beaches in the area including Mangrove Point, Starfish Beach, Bocas del Drago, and Bird Island. Park fees and snorkeling equipment included in price. Small-Group Speed Boat and Snorkel Tour: Another full-day cruise exploring the waters around Isla Colon to their fullest. Stops include Dolphin Bay, Crawl Cay, and the famous Red Frog Beach. Bocas del Toro Catamaran Dolphin and Snorkeling Tour: Spend a day on the water with this 7-hour catamaran tour around Bocas del Toro with a chance to swim & snorkel at major stops like Dolphin Bay and Isla Solarte. Whereas wading in the waters of Playa Estrella is Bocas del Toro at its most relaxing, it’s all action at Red Frog Beach on Isla Bastimentos. To visit Red Frog Beach from Bocas Town, you’ll need to hire a boat captain to zip you across to Bastimentos. Combining Red Frog with an island hopping tour will let you explore the archipelago and end the day with relaxation on the beach. If you’re not a strong swimmer, I’d stick to admiring the view from the shore. Swimming at Red Frog Beach can be challenging to say the least. Even just 5 to 10 metres from shore, the riptides gnaw at your legs. Out further, who knows what could happen. From the Red Frog Marina on the southern side of Bastimentos, where your boat captain will drop you off, it’s a short walk through a jungle path ($5 admission fee) to Red Frog Beach. Looking for the ultimate Bocas accommodations? Book yourself into one of the stunning beachside villas at Red Frog Beach Island Resort! Yes, it’s a bold statement. You absolutely cannot leave Bocas Town without stopping in at Capitan Caribe. There are a few different varieties of burgers here—fish, pork, beef—but what makes them unique are the ingredients mixed along with them. Each recipe possesses a unique Caribbean flair, using tropical fruits and local favourites like coconut bread to enhance their juicy burgers. Their chicken curry is equally awesome. Not hungry for burgers? Capitan Caribe also blends up mean fruit smoothies to cool you down in the hot Bocas sun. Most travellers to Bocas del Toro stay in Bocas Town on Isla Colon, the most popular island in the chain. We stayed in the northern swath of Bocas Town at KoKo Resort on Saigon Bay. While we enjoyed our time chilling out in the unique stilted beach bungalows, I’d hesitate to recommend KoKo Resort to the average traveller. The Saigon Bay neighbourhood, while perfectly safe from our experience, might not sit well with everyone. Sun Havens Apartments and Suites: A superb aparthotel closer to the centre of town. For its prime location, room size and maintenance (which can be an issue in Bocas Town), this property provides excellent value. Tropical Suites Hotel: A lovely oceanfront boutique hotel that’s the finest among those along the main drag of Bocas Town. Watching fiery Panamanian sunrises from your own private balcony is worth the price alone. Red Frog Beach Island Resort: The ultimate splurge in Bocas del Toro. Located on Bastimentos, it’s hardly an authentic Panamanian experience, rather one that provides all the creature comforts you’d expect in an exclusive resort. A quick ten-minute boat ride from Red Frog Marina gets you back to Bocas Town for a supply run. It’s all worth it for the serenity and epic Caribbean Sea views at Red Frog Beach. The easiest way to get from Boquete to Bocas del Toro is by a semi-private shuttle. Most hotels in Boquete can arrange the pick up for you. The beautiful ride from Boquete through the highlands takes about 4-5 hours, including the boat ride from Almirante to Bocas Town. Your shuttle should cost no more than $35 to $40 per person. Want quieter and more pristine beaches? 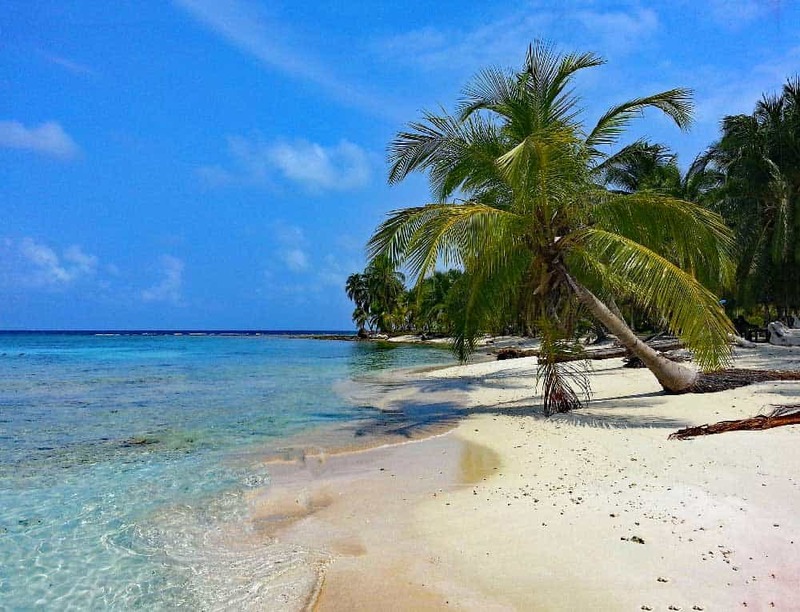 Skip Bocas del Toro and head to the San Blas Islands. 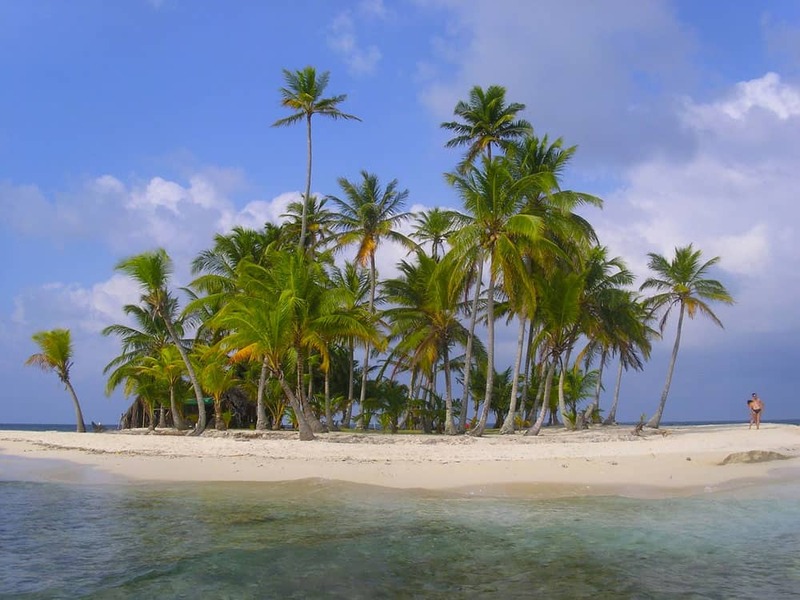 Although they’re tough (and expensive) to get to, San Blas Islands are Panama’s best if you’re craving untouched Caribbean beaches that battle the world’s finest. You won’t find much to do here other than lazing on the beach, swimming and snorkeling through perfect waters. But getting away from it all is the whole point in coming here, right? Big outdoorsperson? Spend more time in the Chiriqui Highlands. Four days in the Boquete area might not be enough to take in all the amazing activities. Hiking up Volcan Baru, for example, steals two days on its own. 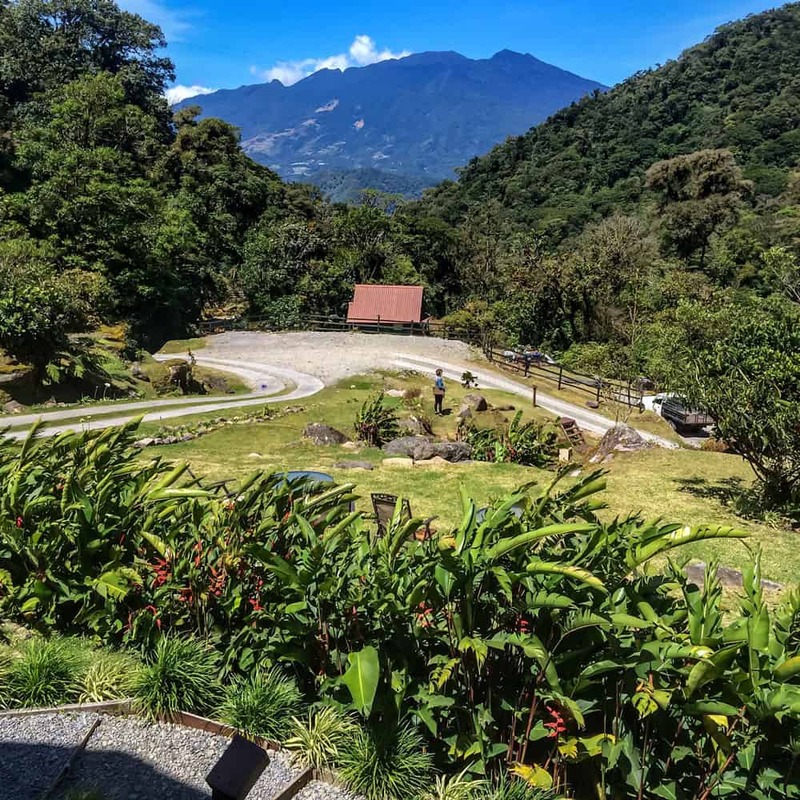 If you’d rather have an active holiday away from the sea, add more time in the Chiriqui Highlands and split it between Boquete and Cerro Punta or Volcan to dig into all the region’s best hiking. 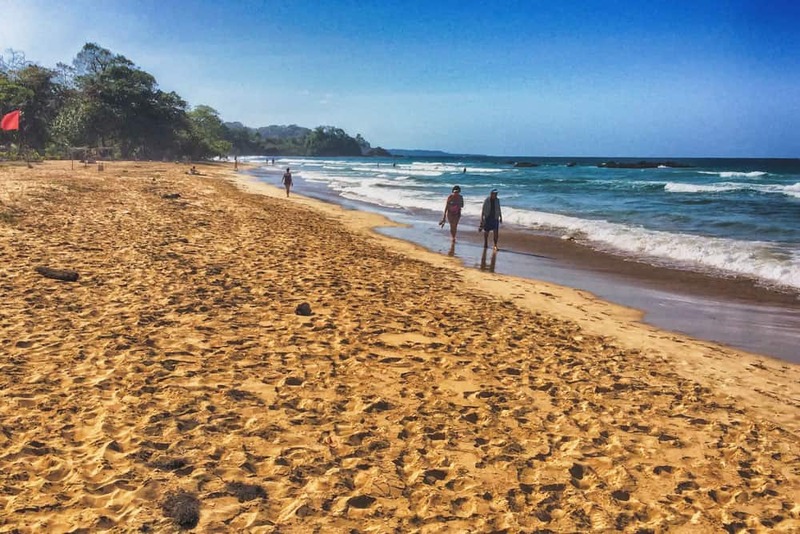 Costa Rica: Continue 4 hours up the coast from Bocas del Toro to Puerto Viejo, one of the best places to visit in Costa Rica, and start a new Costa Rican adventure. Nicaragua: It’s a short skip over Costa Rica to Nicaragua, Central America’s most quickly evolving tourist destination. Unless you’re travelling through CR, start your Nicaragua itinerary by flying from Panama to Leon or Managua, sweeping south to take in all the best things to do in Nicaragua. Colombia: Unless you’re an armed guerrilla or a pharmacist with a medipak overflowing with malaria medication, an overland adventure between Central and South America over the Darien Gap is probably out of the question. Taking the safer and far-less-legendary path to Colombia, grab a flight from Panama City to Bogota to launch a Colombia itinerary that you won’t soon forget.